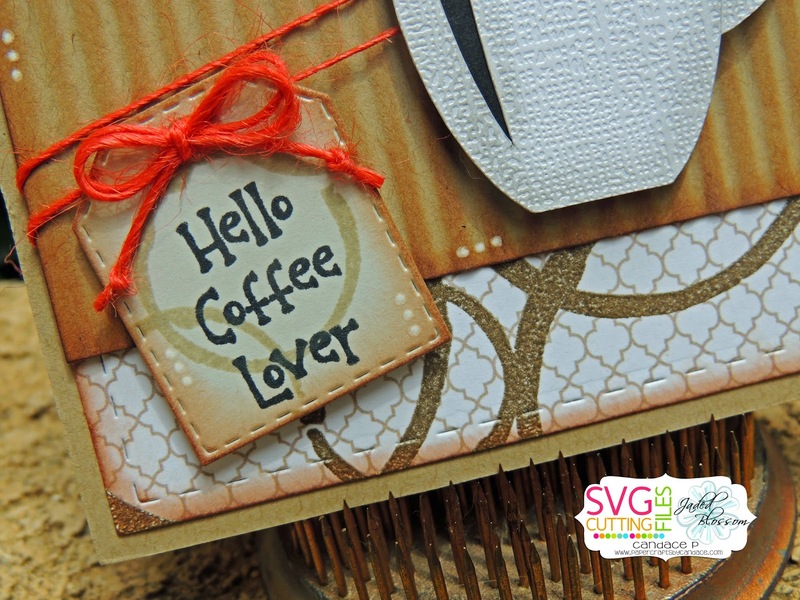 Paper Crafts by Candace: Hello Coffee Lover! Jaded Blossom stamp release day 3! Hello Coffee Lover! 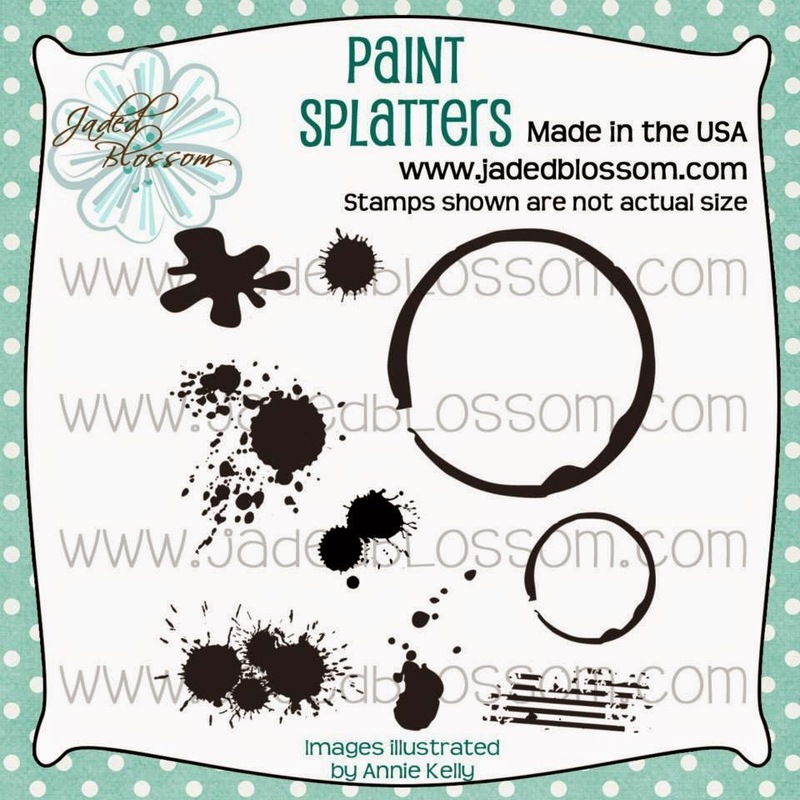 Jaded Blossom stamp release day 3! Welcome to Day 3 of the Jaded Blossom stamp release week! We are showcasing 2 Coordinating stamps today. And a close up of the sentiment. I used the small coffee stain stamp on the die then stamped my sentiment on the top of it. I embossed the large and small coffee stain stamps as part of the background. 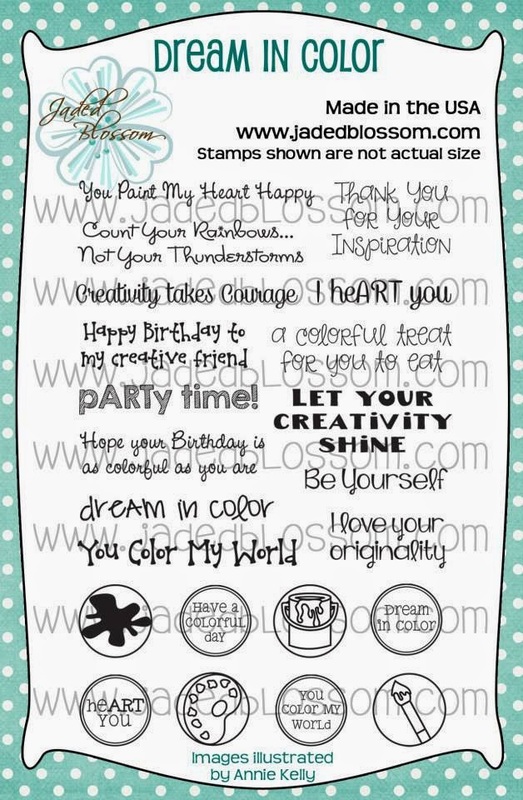 I love love love this stamp and know I will be using it tons! Love that owl and the coffee stains look fabulous! This is so stinkin cute! 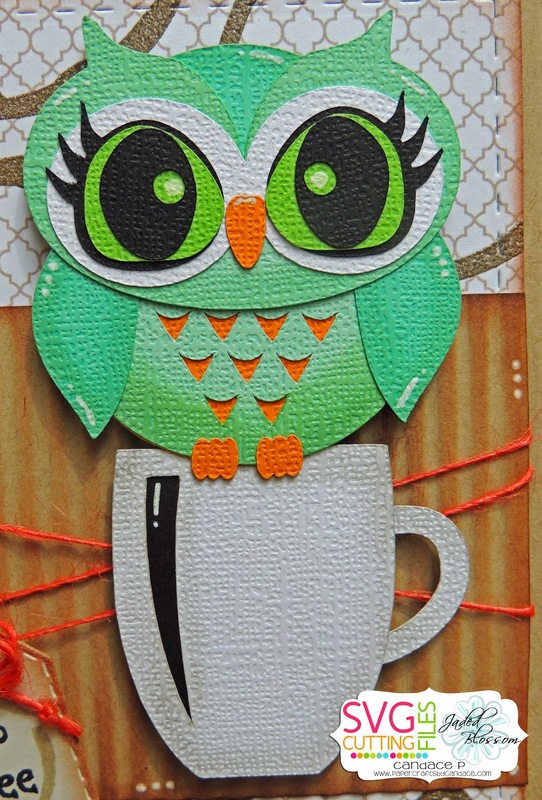 I just LOVE the owls eyes and how you stamped the background! so very cute ! love the look of all the layered textured paper, and the green is unexpected but I like ! I love this card! The embossing is perfect! !